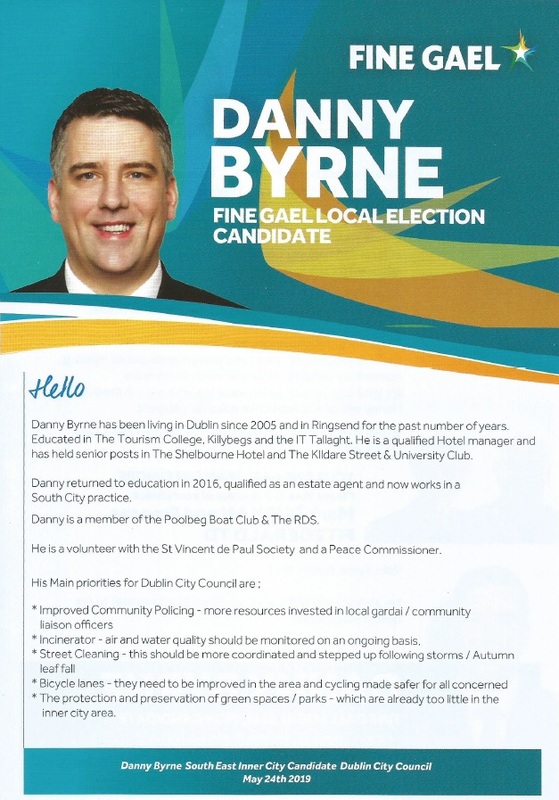 A Leaflet from Danny Byrne who is running for Fine Gael in the South East Inner City LEA for a seat on Dublin City Council. A Leaflet from Jacqui Gilbourne of Renua who is running in the South East Inner City LEA for a seat on Dublin City Council. 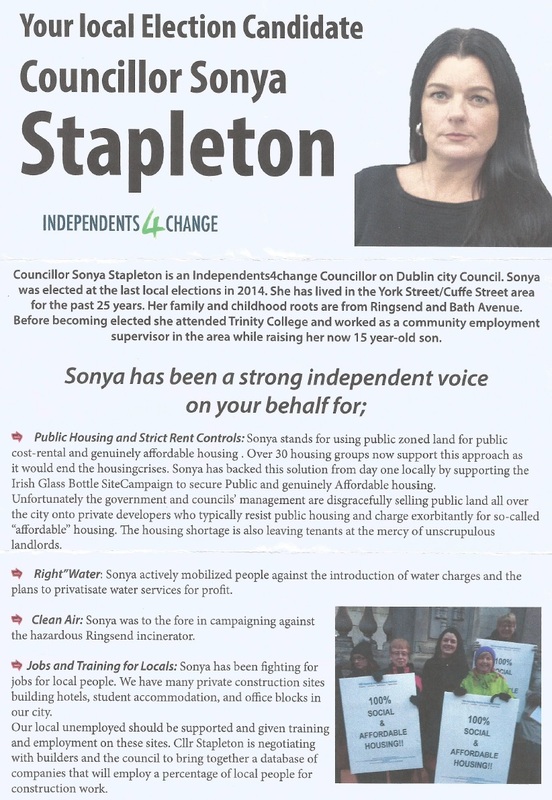 A leaflet from Sonya Stapleton who is running as an Independents4Change candidate in the South East Inner City LEA to retain her seat on Dublin City Council. 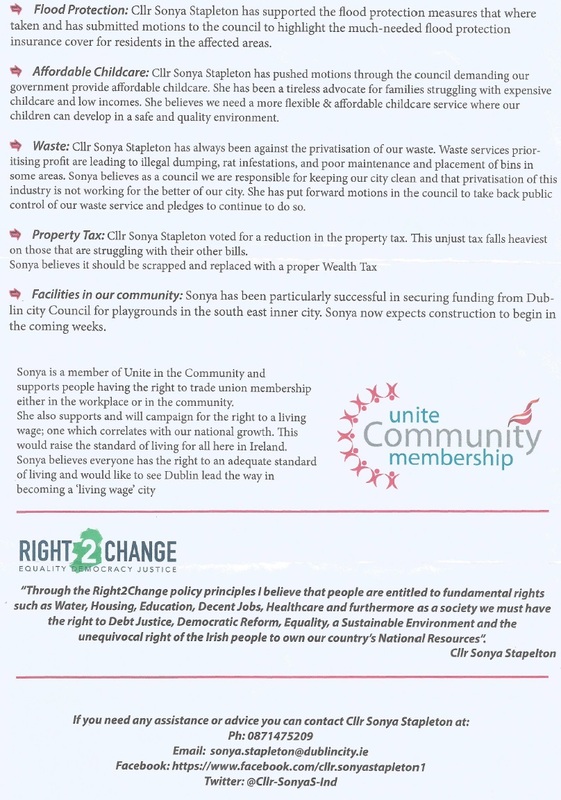 A Leaflet from Sarah Durcan of The Social Democrats who is running in the South East Inner City LEA for a seat on Dublin City Council. 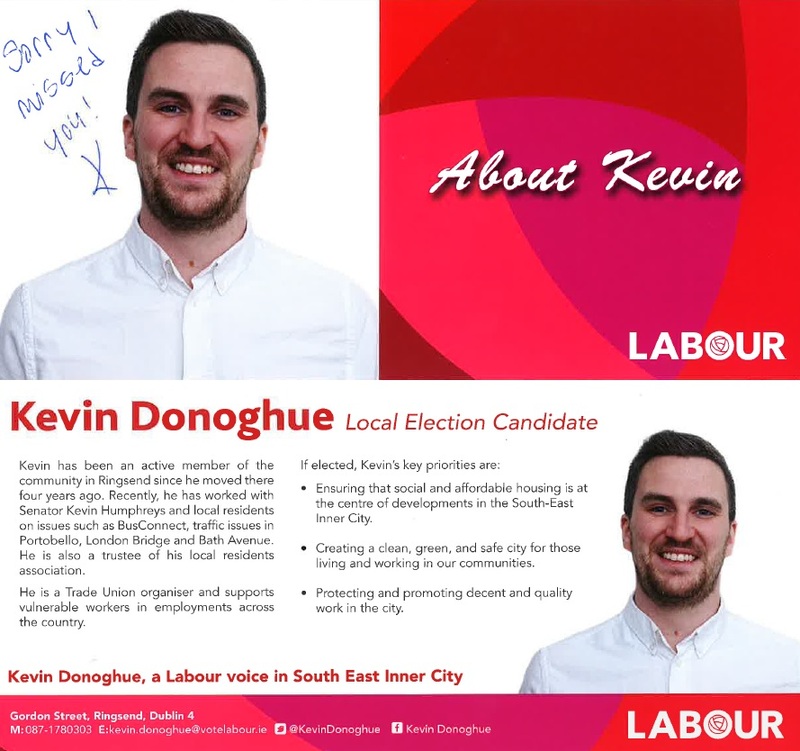 A Leaflet from Kevin Donoghue of Labour who is running in the South East Inner City LEA for a seat on Dublin City Council. 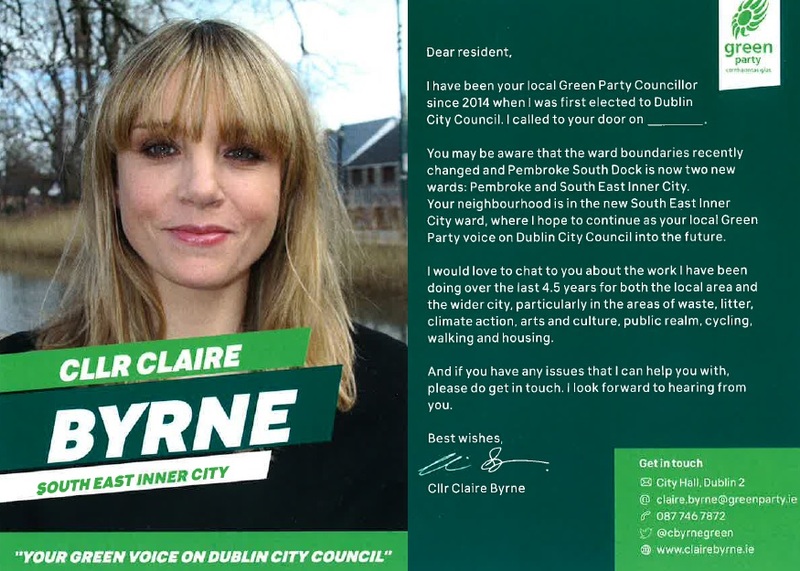 A Leaflet from Cllr Claire Byrne of The Green Party who is running in the South East Inner City LEA to retain her seat on DUblin City Council. Many thanks to the snder. 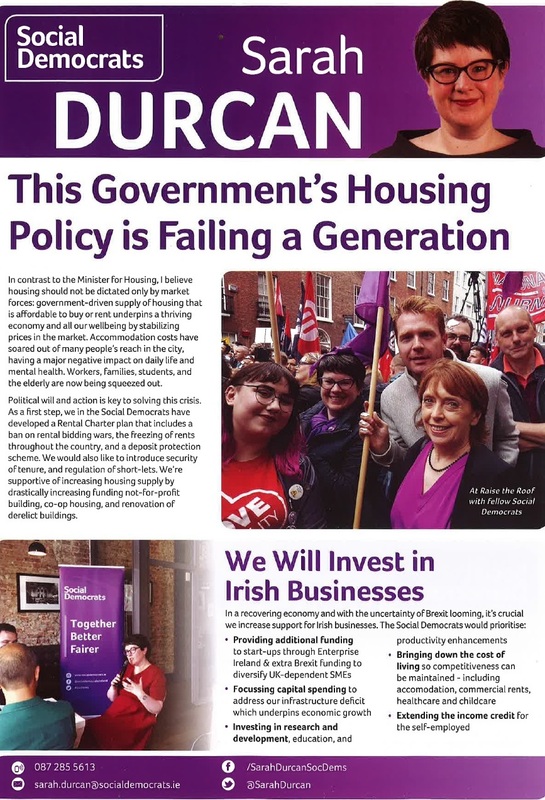 A leaflet from Maria Bohan who is running for Fianna Fail in the 2019 Local Elections for a seat on Dublin City Council in the South East Inner City Ward.